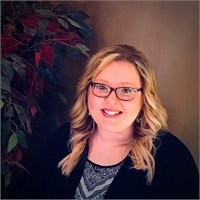 Jamie Smith | Wealth Strategies, Inc.
Jamie joined the Wealth Strategies team as Director of First Impressions in June 2015 and is a member of the Enhanced Service Team. She grew up in Muncie and attended Delta High School. After graduating, she attended Ball State University and graduated in 2008 with a Bachelors in Sociology. Jamie lives in Muncie with her husband, Andy, and their rambunctious cat, Annabelle. She loves to vacation in Gatlinburg and drive through the Smoky Mountains. She enjoys cooking, crafting, watching Colts football, and attending Fort Wayne Komets hockey games.